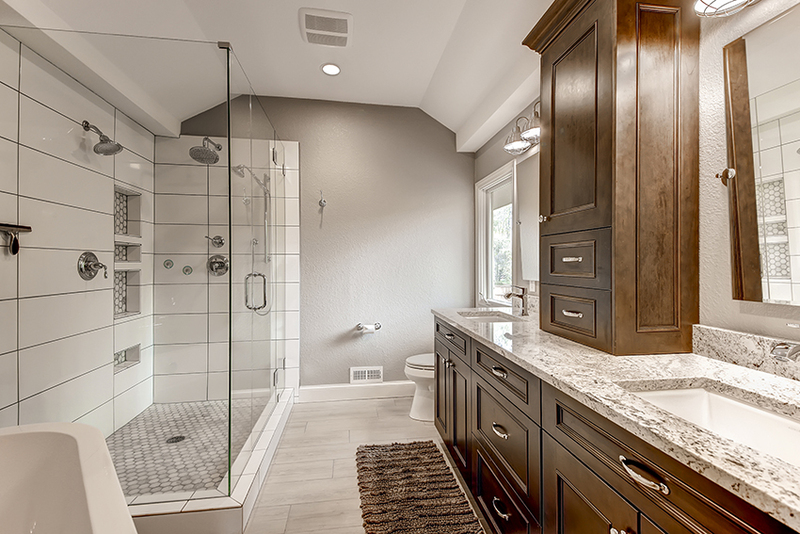 Bathrooms are typically the smallest rooms in our house but when it comes to remodeling them they can turn into a fairly large, detailed project. Working with our team of designers and project managers at Coles Fine Flooring Kitchen & Bath Department will help remove a lot of the challenges and minimize downtime due to proper planning before you start your project. Knowing what to expect will help you be better prepared. Plumbing is the biggest determining factor in a bathroom layout and can also greatly impact budget when relocating it. When designing your dream bathroom be mindful of location changes to help minimize cost to the project. Where possible keep the existing commode location, this will save money that can be used for an upgraded shower, fixtures etc. Even in small bathrooms you can have a lot of options. When working with our professional team we will guide you through all of the options that can work within your budget. Like everything else in today’s world there is a myriad of styles and options. Work with your designer to help utilize your space for functionality. Due to the many cabinet interior options we can make almost any bathroom cabinet much more functional than your current one. Better organization helps your day start off better. Luxury showers replicate the spa-resort experience in a dream bathroom. Choose from a variety of spray heads from ceiling-mounted rain shower heads to water massage shower heads or handheld attachments that allow you to direct the spray for washing and rinsing. For a custom-made stall, choose your favorite waterproof material to cover walls, floors, and ceiling, and frameless glass doors to showcase your tile work. You may also want to design your shower with a curb-less (flat floor no dam) design for easier access to the shower and a cleaner, sleeker look. Install a corner bench seat for comfort if space permits and install a soap niche to hold your shampoo and soap bottles. Choose a spot free glass for easier cleaning. There are plenty of options for those who do enjoy a relaxing soak. Bathtubs are the natural focal point of a bathroom and have a powerful impact on the decorating style. Freestanding bathtubs may rest on claw-and-ball feet or a pedestal base or they may be streamlined and straight-sided like a piece of sculpture. A platform bathtub has an unfinished exterior and drops into a supporting boxlike structure. The top or decking is usually a waterproof material such as tile, marble, or limestone, and the sides may be paneled in wood or covered in tile or stone to match the decking. Working with your designer will help you select the style that best fits your needs and budget. As with any room in the house, lighting can change the whole dynamic. When your designer does the layout they will also show you options of lighting that will best work for your tasks and overall ambiance. The best approach to a well-lit space is to incorporate layers of task, accent, ambient and decorative lighting. The most critical area for bathroom lighting is the mirror. Ideally you should have wall-mount lights at each side of the mirror at about eye level, with a third light above the mirror. This arrangement illuminates your face from both sides and above, eliminating shadows. Bathroom floors need to be hardworking, impervious to water, and slip-resistant — but they also need to be attractive. The most luxurious choices are stone tiles and porcelain tiles, but highly polished flooring is slippery when wet. Consider using a honed flooring finish for better traction. Porcelain tiles rated “impervious” are the most waterproof and are ideal for bathroom use. Tiles designed for floors are extremely durable; they resist water, stains, and wear, and are easy to care for. 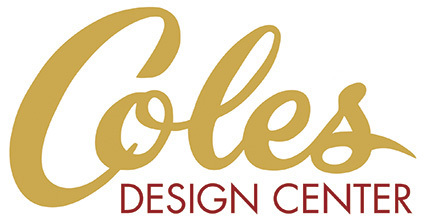 We at Coles look forward to helping you create your dream bathroom, whether it be your master bathroom, guest bathroom or powder room.